A new channel has started in DVB-S2 Irdeto 2: Rotana Cinema (Egypt) on 11258.00MHz, pol.H SR:27500 FEC:3/4 SID:1904 PID:141[MPEG-4]/142 Arabic. A new channel has started in DVB-S Clear: Rotana Cinema (Egypt) on 12341.00MHz, pol.H SR:27500 FEC:3/4 SID:8 PID:519[MPEG-4]/720 English. New SID for Rotana Cinema on 11295.97MHz, pol.H FEC:3/4 SR:27500: SID:5609 ( PID:5625/5626 English - Clear). New SID for Rotana Cinema on 11295.97MHz, pol.H FEC:3/4 SR:27500: SID:5607 ( PID:5619/5620 English - Clear). New frequency for Rotana Cinema: 12149.00MHz, pol.H (DVB-S SR:27500 FEC:3/4 SID:8 PID:519/720 Arabic- Clear). Rotana Cinema (Egypt) broadcasts in DVB-S Clear on 11765.84MHz, pol.H SR:27500 FEC:5/6 SID:502 PID:3002/3003 Arabic. Rotana Cinema (Egypt) broadcasts in DVB-S Clear on 11295.97MHz, pol.H SR:27500 FEC:3/4 SID:5607 PID:5619/5620 Arabic. Rotana Cinema (Egypt) broadcasts in DVB-S Clear on 12284.00MHz, pol.V SR:27500 FEC:3/4 SID:900 PID:519/720 Arabic. New FEC for Rotana Cinema on 11766.00MHz, pol.H: FEC:5/6 ( SR:27500 SID:490 PID:3088/3089 Arabic - Clear). Rotana Cinema switched to Badr 6 satellite at 11843.00MHz, pol.H (DVB-S , 11843.00MHz, pol.H SR:27500 FEC:3/4 PID:519/720 Arabic). 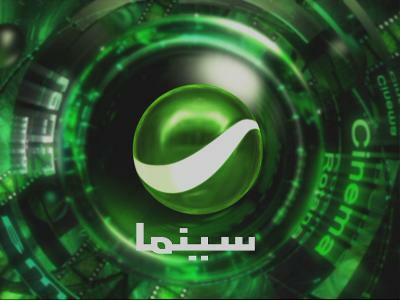 New frequency for Rotana Cinema: 11938.00MHz, pol.V (DVB-S SR:27500 FEC:3/4 SID:504 PID:2834/3320 Arabic- Clear). A new channel has started in DVB-S Clear: Rotana Cinema (Egypt) on 11843.00MHz, pol.H SR:27500 FEC:3/4 SID:8 PID:519/720 Arabic. A testcard identified Rotana Cinema has started in Clear on 12149.00MHz, pol.H SR:27500 FEC:3/4 SID:2593 PID:1029/1030. Rotana Cinema is testing in DVB-S Clear on 11766.00MHz, pol.H SR:27500 FEC:3/4 SID:490 PID:3088/3089 Arabic. Rotana Cinema is testing in DVB-S Clear on 12149.00MHz, pol.H SR:27500 FEC:3/4 SID:2593 PID:1008/1009 Arabic.